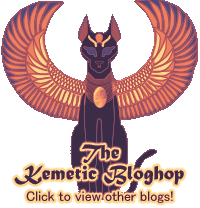 It seems there’s a lot of pagans who prefer to be solitary – especially Kemetics. I’ve never been able to understand that particular desire. I don’t think I would have been so attracted to Kemetic Orthodoxy if it weren’t for the community of people to interact with. I’ve had trouble articulating why it was that I was so attracted to the idea of a group of people all committed to the same faith, because that need feels so distant now that it’s been met. I do know that when I was first exploring pagan faiths, I was desperate to do it “right”. I really, really didn’t want to be a ‘fluffy bunny’ – I was kind of tangential to a few pagans, and I really wanted them to respect me. Then again, coming from a Catholic school background, sometimes I felt like I needed to be more serious than the people around me who were mostly Catholic on Christmas and Easter. And I really, desperately wanted to have the transcendent experiences with the Divine that I’d read about other pagans having. So it felt totally necessary for me to mingle with people of the same faith; because without that mutual connection I felt like I would never find a way to get myself to any kind of spiritual center. Truthfully, the benefit is way beyond what I expected. Certainly I found people with whom I could share my experiences, teachers and mentors and guides galore. More than anything, though, I found some of the best damn friends I’ve ever made. And I know that there’s a lot of ‘non-denominational Kemetics’ who have good friendships and are close and what have you – but the structure of the House of Netjer put me in contact with plenty of local members, plenty of people who were in my area. Now I have a dozen, maybe more, people in my area to celebrate with. I have dozens of people in my phone’s contacts list, located all around the world. I have people who I can speak to about just about anything, and they will support me like my closest friends – and understand when I put a spiritual spin on the conversation. 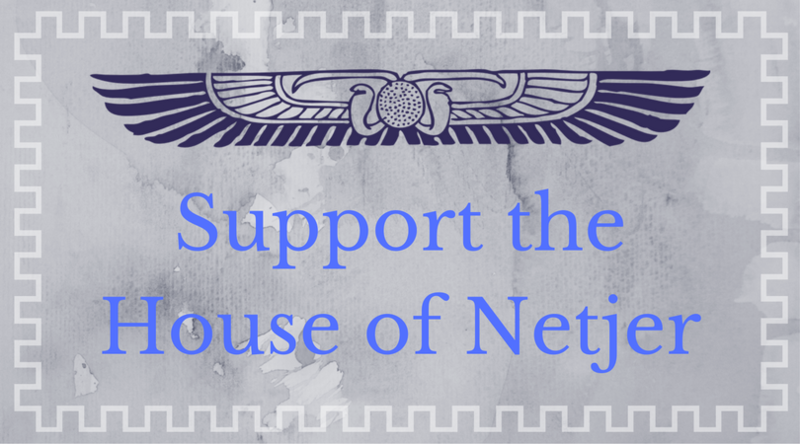 I get that community is not something everyone feels is necessary, and I completely respect that – but I genuinely don’t know what I would do without the community of the House of Netjer. Even when I struggle with my faith; even when I feel distant from the gods; even when I am totally frustrated and worn out – I am surrounded by a community of Remetj and Shemsu. Previous Post Bawdy god humor.